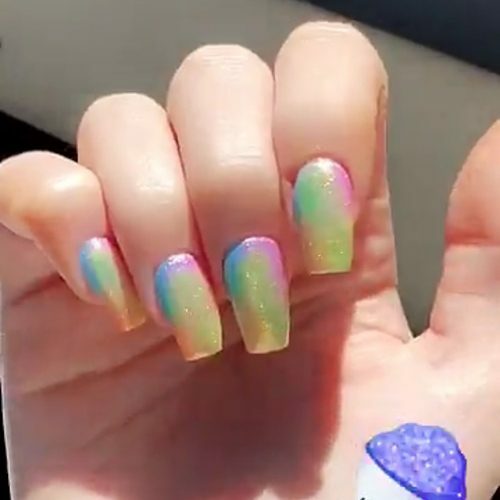 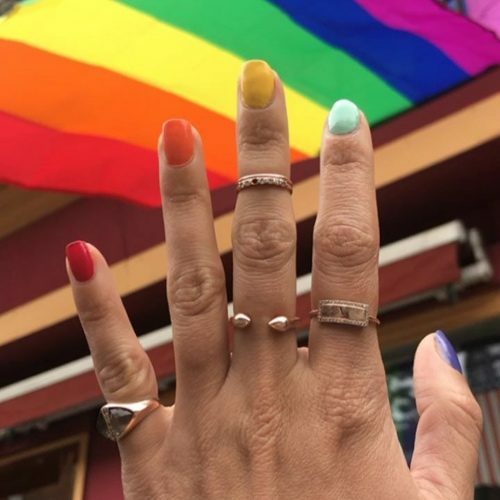 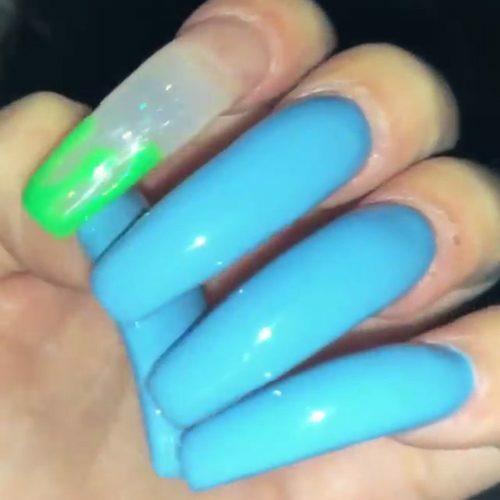 Danielle Bregoli’s blue manicure has a contrasting clear-green nail. 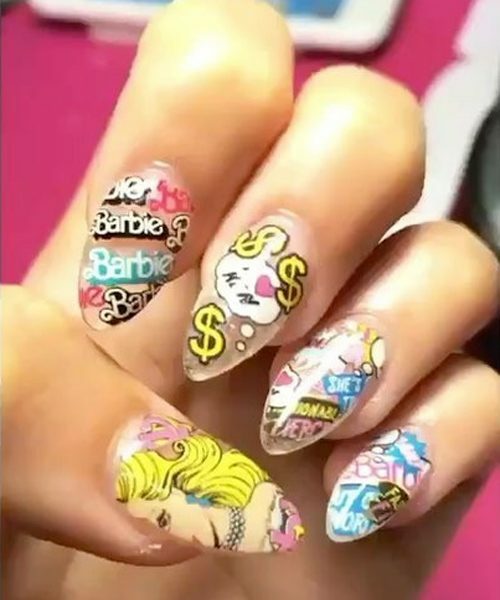 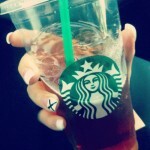 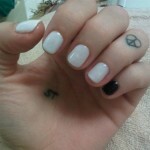 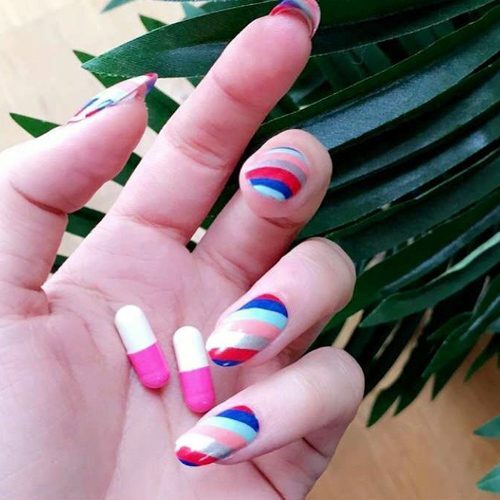 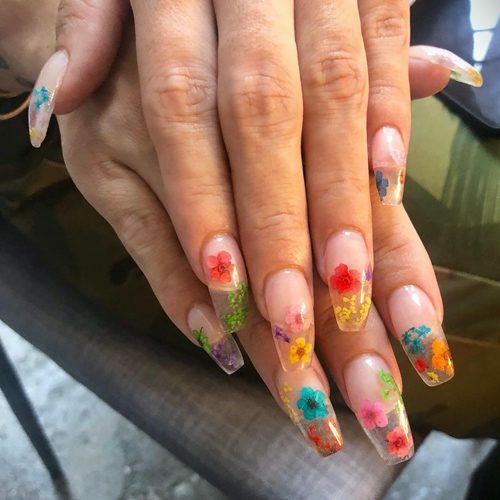 Charli XCX’s candy stripes manicure was very pretty and very cheerful. 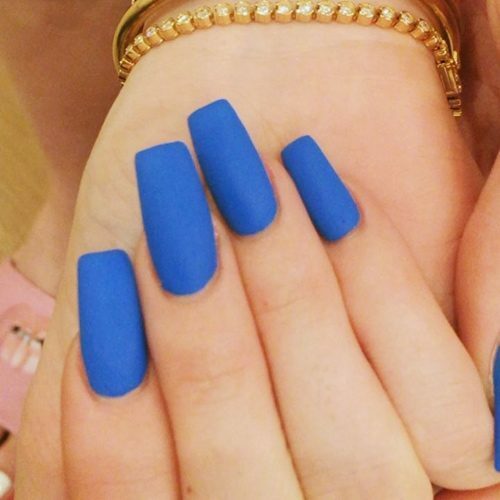 Kylie Jenner wears matte blue nails. 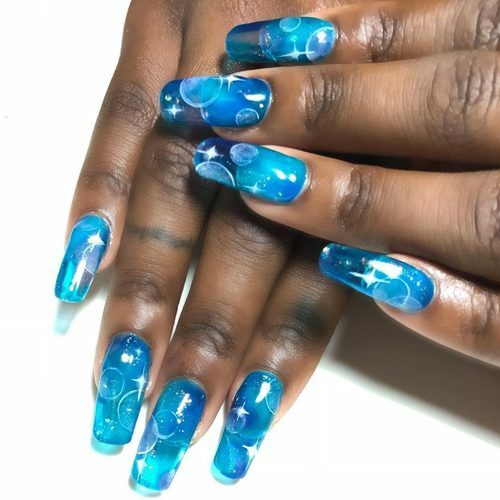 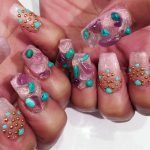 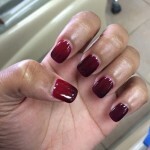 Justine Skye wears jelly blue manicure with bubbles design. 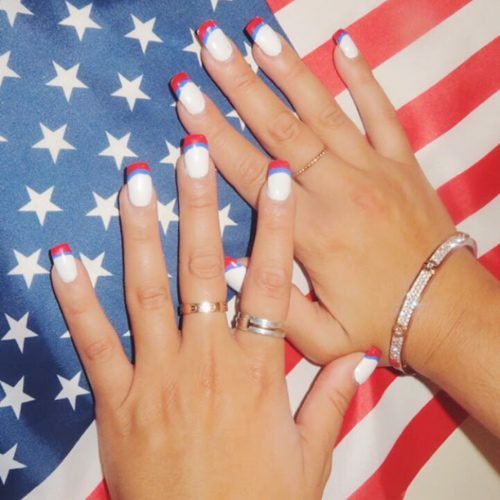 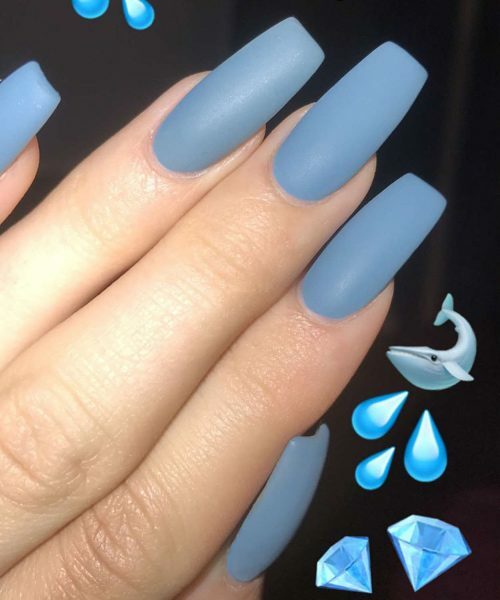 Kylie Jenner wore her long nails painted in matte blue.